Lloyd Rees was born in Brisbane in 1895 and lived there until 1917, when he settled in Sydney. He attended Brisbane Technical College in 1910, where he had his first formal instruction in art and in 1913 took a job as a junior artist in the Queensland Printing Office. 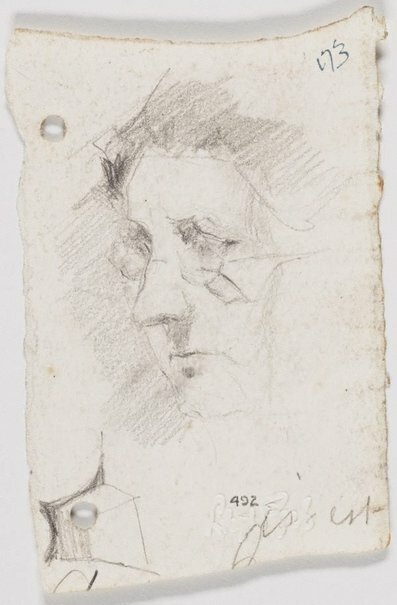 He began full time studies at the Brisbane Technical College from 1915 and was there until 1918 – many of the drawings in this gift were from his time at the school. Their subjects include everyday life out and about in Brisbane, landscape, architecture, portraits and studies after sculpture.